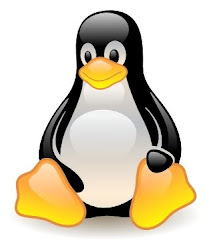 Here's a brief overview of how the Linux kernel manages traffic, being Traffic Shaping, Traffic Scheduling or Traffic Policing and what is the difference from the kernel perspective when dropping or rejecting a packet. Traffic Shaping - controls the rate of transmission of packets. Shaping can be used to lower the bandwidth and to smooth out traffic spikes. Traffic Scheduling - is used to reorder packets. This is used to give priority to interactive traffic e.g SSH. Traffic Policing - controls the arrival of packets. This is achieved by tagging packets so that iptables can act on them for example. The lower 2 OSI network layers are usually implemented in hardware and the device driver and the rest of the higher layers are implemented in software inside the kernel. By changing the order of the packets in the queues and by adding a delay before making an outgoing packet available to a NIC the kernel can implement Traffic Shaping and Scheduling. This is available through user-space tools like the iproute2 where using commands like tc and ip one can setup different queuing and scheduling disciplines. I'll demonstrate this in a different article. ALLOW/ACCEPT- Permit a packet to be processes. REJECT - Prohibit a packet from passing and send an ICMP destination-unreachable response back to the client. DROP - Prohibit a packet from passing and do not send a response back to the client. By REJECT-ing a packet, TCP aborts the connection by sending a RST packet back, and the client application knows that the connection has failed after just one round-trip time. This allows the application attempting the connection to act on that reject, e.g retry the connection, or send some sort of notification. This is usually a "nicer" way to refuse a packet, but bare in mind that if this is a DDoS your server will have to respond to each request with a reset. DROP-ping a packet on the other hand will cause TCP to retry the connection until a threshold for re-transmission is exceeded, which can take a long time (a timeout of 100+ seconds). Nothing is sent back to the client in this case. You can test this on Linux, but the results I got were 10 milliseconds for a REJECT to give an application error from a TCP connection and 165 seconds for DROP. As you can see both of the two options are viable, just consider your use case. iptables offers both methods to deny a request.